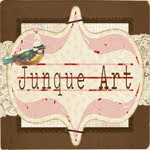 Good morning everyone. . .it's Jeanne here and it's my turn to share some Valentine fun with you. 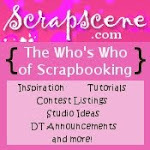 One of my all-time favorite swaps I participated in was a "Bits & Pieces Collage Swap." Recently I was re-admiring the collage I received from my swap partner when I was rearranging the inspiration board in my studio. 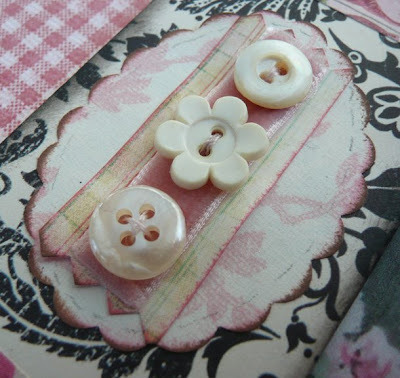 I love the idea of using up all the little scraps I save from other projects. I can't seem to throw anything away because I always think I'll be able to use the leftovers to make something else. This philosophy, which my husband refers to as more of a "pack-rat" syndrome, led me to create this Bits and Pieces Collage Frame project. So let's get started, shall we? 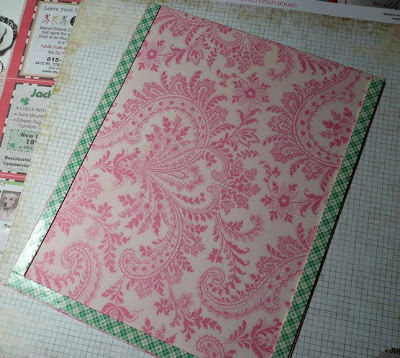 Small scraps of 6 coordinating pink papers. 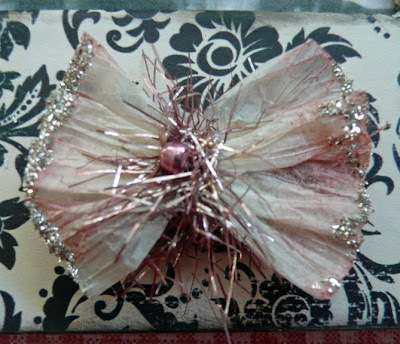 Scraps of paper, rhinestones, buttons, braided trim, book text, sheet music, ledger paper, ribbon, Flowers, crepe paper, tulle, vintage images, tinsel trim, glitter, pearls and/or beads. Place photo mat board on top of wrong side of an 8"x10" sheet of black & cream decorative paper and trace around inside edges. 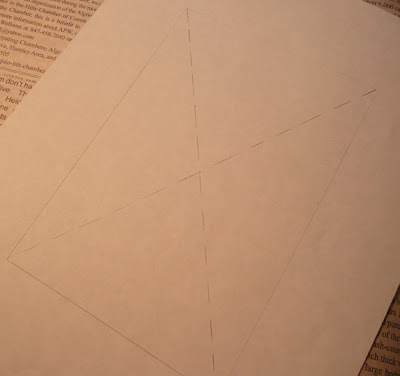 Using craft knife, cut an “X” in the center of traced section, connecting opposite corners as shown in the photo below. 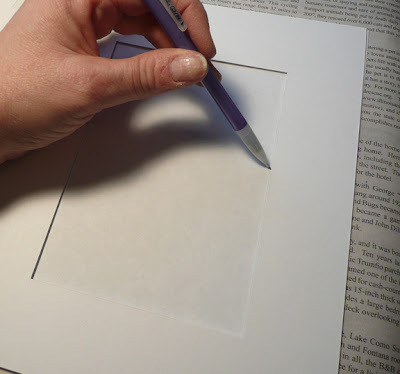 Apply glue to front side of mat board and reposition back onto decorative paper, matching it up with traced lines. 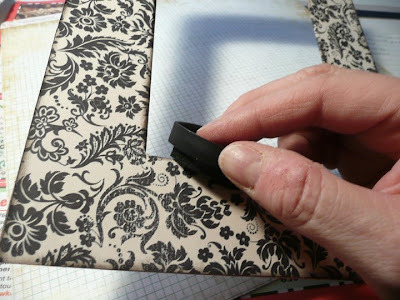 Rolling a brayer over the paper smooths out air bubbles and helps the glue adhere to the surface better. 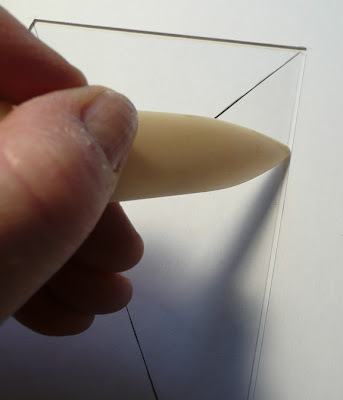 Score along the inside edges of frame using a bone folder which helps create a crisp edge when folding paper. 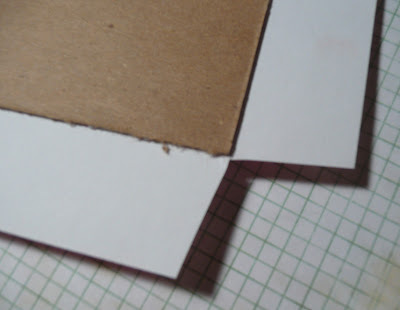 Bend and crease flaps through mat board opening and fold towards the back. 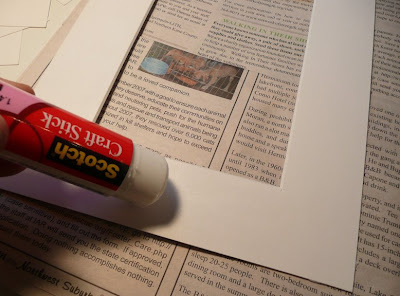 Adhere to back of mat board using gluestick. 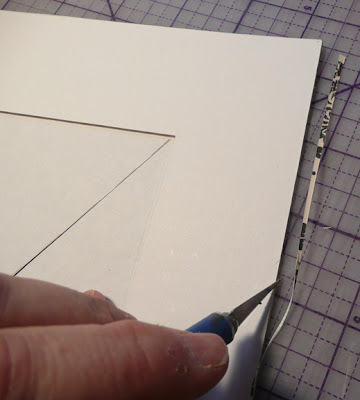 Trim excess paper using craft knife. Turn mat board over to right side. 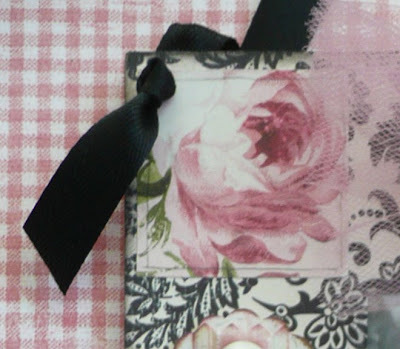 Using a black chalk inkpad, distress both inside and outside edges. Set aside. 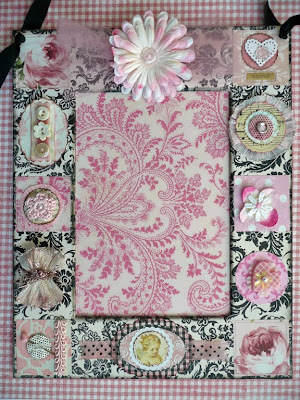 Using a 1-1/2" square punch, cut out 6 squares from coordinating pink decorative papers. 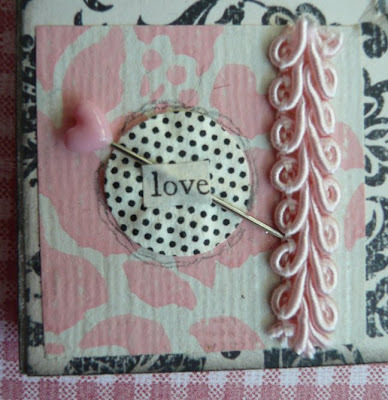 Vintage wallpaper square, pink heart pin, polka dot circular flower embellishment outlined with graphite pencil, book text, and pink braided trim. Pink & white glitter polka dot paper, filmy flower, paper flower, and daisy braided trim. 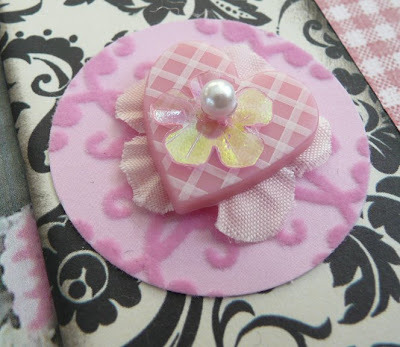 Pink scalloped paper circle with inked edges and white paper heart - both cut using Martha Stewart punches. 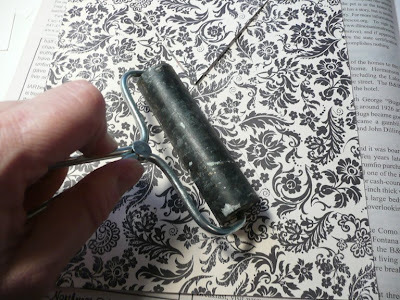 Vintage pink wallpaper, tiny flower punched from rose scrapbook paper, typewritten "amour" on vintage book paper and outlined with graphite pencil. 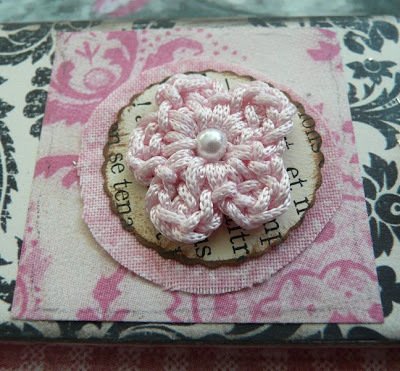 Pink paisley paper, pink fabric circle, vintage book text with inked edges, pink crocheted flower, and tiny white pearl. 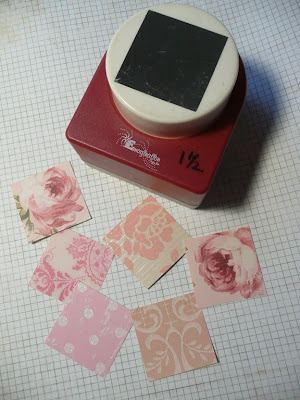 Two of my squares were punched from cabbage rose patterned paper and I chose to let the rose design be the decoration instead of embellishing them. This of course is entirely your choice – really anything goes with this type of project. 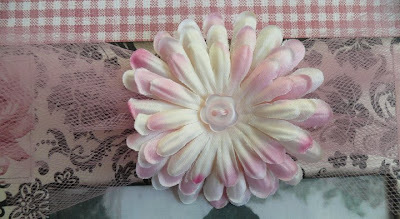 Pink flocked paper circle, millinery flower, heart shaped button, tiny acrylic flower, and white pearl bead. 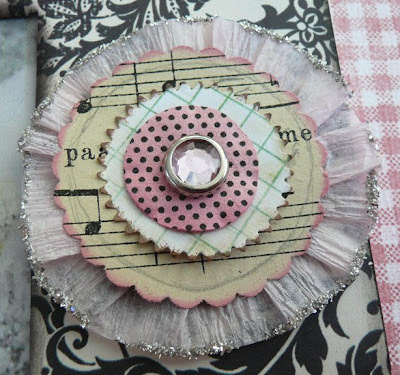 Cream crepe paper rosette edged with silver glass glitter, scalloped edged circle cut from vintage sheet music, circle punched from graph paper and edged with pink ink, polka-dot circular flower, rhinestone brad embellishment. Scalloped edge oval pink toile paper edged with brown ink, scrap of graph paper trimmed with pinking shears and edged with brown ink, vintage buttons sewn on a scrap of pink velvet ribbon. 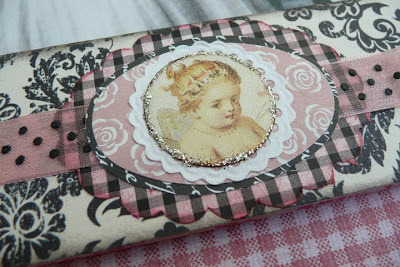 Gathered vintage crepe paper, colored with pink distress ink and edged with glass glitter. 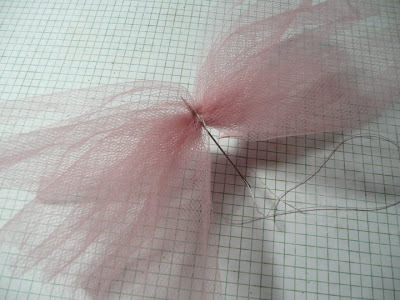 Pink tinsel trim tied around the center and embellished with vintage pink bead. Adhere to top center of mat board. Top with a large flower and embellish with a favorite decorative button. 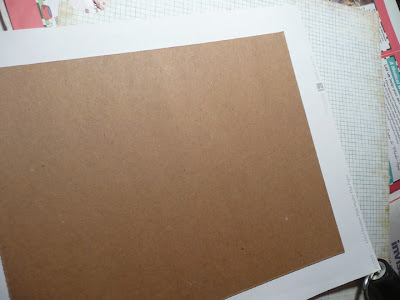 Layer oval shaped papers to the bottom center of mat board. 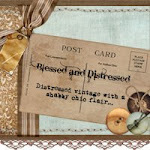 Embellish with ribbon and a sweet vintage image. Add glitter for a finishing touch. 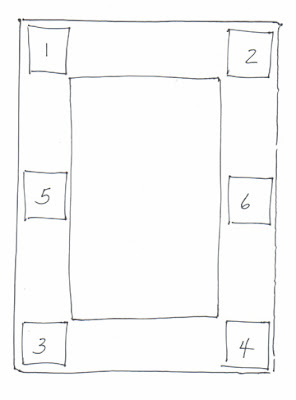 Punch holes at the top left and right corners using Crop-a-dile or awl. Thread ribbon through each hole from back of mat board to front and knot ends. Tie the other ends of the two ribbon pieces into a bow. Now let's finish the back of the frame. . . 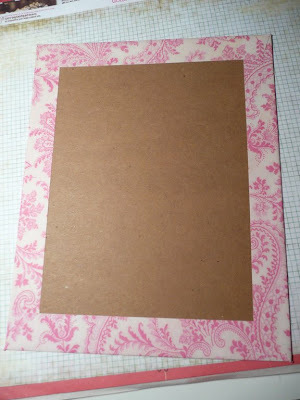 Glue a 9"x11" sheet of pink patterned paper to the center of an 8"x10" piece of cardboard. 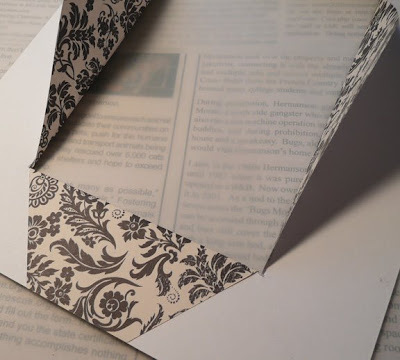 Fold and glue flaps towards the back. 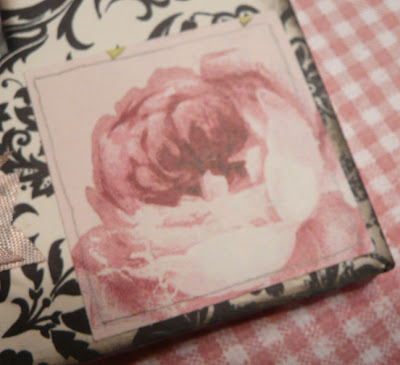 Glue a matching 8"x10” sheet of pink patterned paper to the back of cardboard to cover these edges. At this point cardboard is covered entirely in this pink paper. 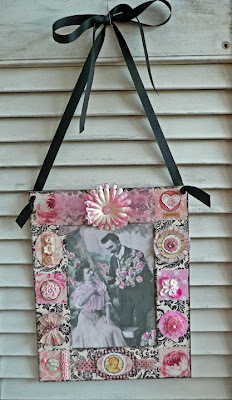 Insert a favorite photo of your Valentine honey or a vintage image and your frame is complete! 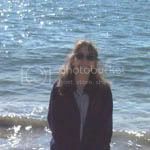 The vintage image shown in my frame is from Sandra Evertson's book, "Memories of a Lifetime:Weddings." I hope you enjoy making this fun project. 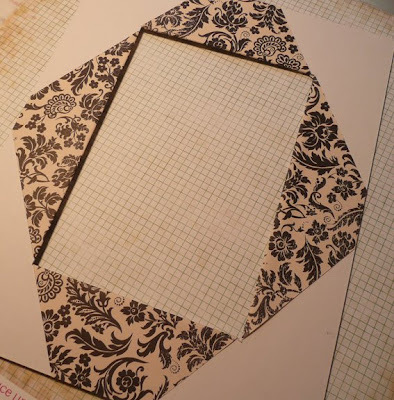 Try making these using smaller mat boards and apply to the front of a note card or attach a cardboard easel to the back and create a table top frame. 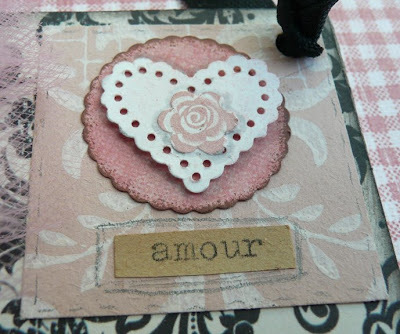 Or make some tiny Valentine cards using the embellishment ideas individually. Have fun with it and let your imagination run wild! Jeanne, that is SO pretty!!! 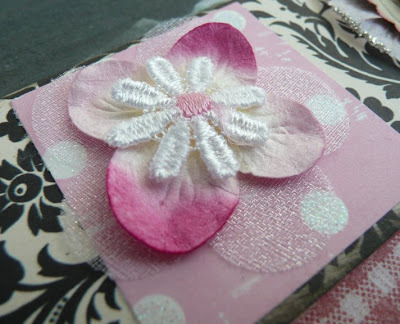 This is beautiful and there are so many uses for these embellishments! I am inspired! and to think I just recently threw away some crepe paper and fabric flowers...I won't be so quick to do that again! THIS IS SO VERY BEAUTIFUL. 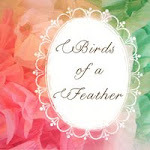 I AM NEW TO BLOGGING AND JUST FOUND OUT ABOUT YOUR BLOG WHEN I WAS VISITING XASHEECORNER BLOGSPOT. 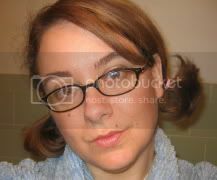 I WILL BE ADDING A LINK TO YOUR SITE FROM MINE. BEAUTIFUL WORK AND THANKS FOR SHARING YOUR TALENTS. This looks wonderful, and like something even I could do. Thank you! WOW!! I AM GOING TO TRY THIS. It is so beautiful and the tutorial is great!! thanks!!! What a great way to use up all those odds and ends that I keep collecting! That is really lovely! Wonderful! 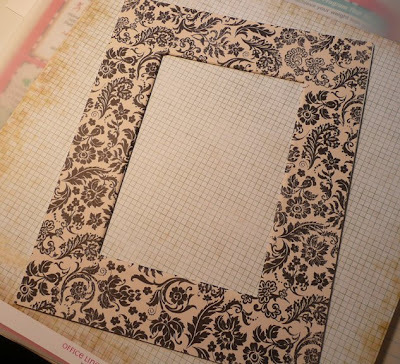 And it can be a great way to jazz up an existing frame! Jeanne this is great!!! Love it! What a beautiful project. The instructions are so nicely detailed. I can't wait to get started! Thank you so much. this is a fabulous project and your instructions are very clear. i can't wait to try one! Love it! Thank you for sharing with us! Thank you so very much for sharing such a BEAUTIFUL project! i LOVE saving scraps from other projects and never really knew why!! hehe NOW i know! Thank you again!! Hope you have a GREAT day! 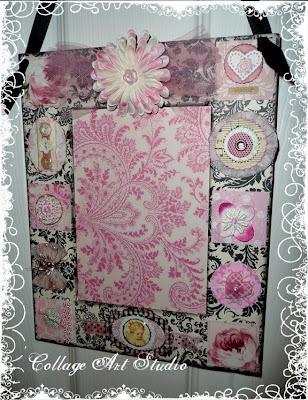 Love this sweet hanging frame....so adorable! This is a great project Jeanne! I love it. Gorgeous collage! Each square is a petite work of art. This is soooo beautiful and such a great idea. I have wanted to do a few romantic looking projects but couldn't find any I like that would actually look good at home and this is perfect. Thanks for all these wonderful ideas! ohhh had to go here to see your work method your frame is beautiful...and you did a stunning work and told the story so well..
Ladies, Thank you so much for all your sweet comments! This is so pretty. My Daughters room is hot pink, black, and white with a chandelier design. 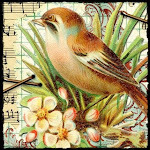 I am going to try to make one for her room. Thank you for the great tutorial, can't wait to go find all my supplies. WOW WOW!!! This came out amazingly well - it's just gorgeous, really. 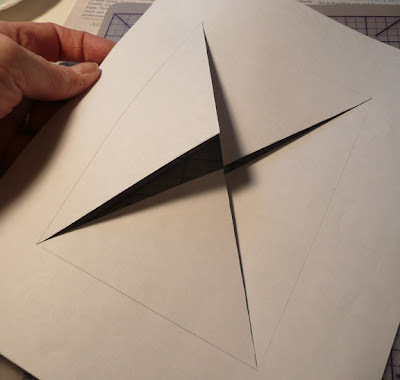 Today (February 5), I posted an entry on my blog with a link to this tutorial.